Selling technology has its own set of challenges. By its very definition, technology is generally complex and sophisticated. Even simple things like buckets and mops require investment in manufacturing technology for which, in the past, there was no compelling story. A mop, is a mop, is a mop to a potential customer. As a mop-making company you have invested considerable money and effort into making your mops. Wouldn’t it be nice if your customers understood the lengths that you go to just to make good mops for them. In the past, the best that you could hope for in your mop marketing efforts would be to emphasize the differences between you and your competitors by means of shelf-talkers or tear-off brochures in the few minutes that a customer stood in the shop aisle and made a purchasing decision; “I’ll take the $5 one” leaving your $15 mop on the shelf. You could run a TV campaign with a cute mop running around like in The Sorcerer’s Apprentice but the cost would be prohibitive. The plain unadorned truth is that yesterday’s marketing medium successes; television, radio, newspapers and magazines are being left behind. Viewers switch of the sound, skip forwards if they are watching previously recorded material or otherwise disengage. Today’s buyer’s attention is not focused in those areas where the previous generation was engaged and captive. With the ever expanding reach of social media and the 24 hour world-wide presence of the Internet your mop-shopping targets have their own agenda that they work to. Choosing information wherever they want, the only thing that grabs their attention is content that is relevant to them and provides value for them. The days of “whiter than white” advertising has gone down the cultural gurgler. So the challenge for the corporate marketers is to find out what their potential customers think is relevant and valuable information. That particular challenge is not difficult for someone steeped in the lore and practice of marketing. It is the bread-and-butter practice of Marketing 101. So what we need now to consider is how we leverage our new marketing strategies. This is where Content Marketing comes into its own. By providing relevant content on their websites and in social media the new Content Marketers take advantage of the latest research in trends. This research shows that 8 out of 10 corporate decision makers prefer to get their product information from web articles, white papers, specialist reviews and even online help manuals. They show little preference for advertising. That is not surprising since advertising is ‘content-lite’ often selling sizzle and not sausage, brand not product. That view is also filtered through the knowledge of what goes into their own advertising and the rationale behind it. With regard to brand promotion something else has come out of the research. The best content marketers have the best brand recognition simply because they are offering something of value to the potential customer, namely objective information. There is a quid pro quo at work; you tell me what I want to know without the hype and I will give you serious consideration as my preferred vendor. When undertaking Content Marketing for your company you can choose from one or more strategies. 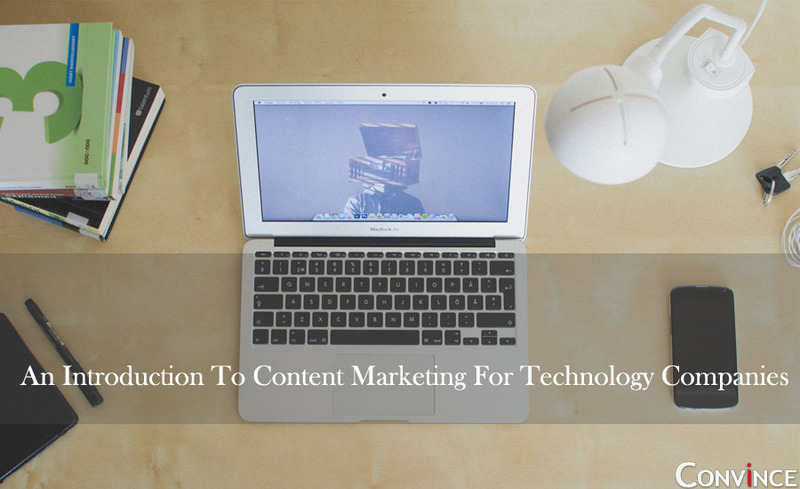 If there are industry blogs covering your technology then consider submitting articles to them. The blogs should be conversational with sufficient technical information that establishes your company as a leading provider. In traditional advertising you would make that claim in the advertising material that you produce. In the blog you get a chance to show how adept your company is in dealing in your technology areas. Short case studies can be a good vehicle for your presentations. Each blog can present a different aspect of how you have provided solutions to client problems, without identifying the client. If there are industry buzzwords in common use, you can show how your technology uses and enhances those buzzword concepts. If you have your own internal buzzwords or acronyms then showcase them. That is what all the giant IT vendors do. It shows that your solutions have caché when you can give them an identity not just a product name. Join the biggest marketing trend and publish a Facebook page. Establish a relationship with the editors of relevant industry magazines and offer them more than just the standard corporate hype. Build your brand by showcasing your in-house talent. Readers identify with people and the company and products they are responsible for if they see numerous name references. Submit white papers to professional interaction and skill promotion sites like LinkedIn. Set aside part of your website for your human/technical story. This is such an important activity that you need to give careful consideration to who is going to author your Content Marketing pieces. In-house writing talent should be encouraged particularly from the technology side of your business and resist the temptation to hand the project over to your sales department. They are obviously very good at what they do but they do work to a driven agenda which matches your sales reporting cycle. Content Marketing cannot be easily massaged or manipulated to fit into monthly time cycles. Hiring external marketing experts with a proven Content Marketing track record will always work well for you. Other things to consider is the selection of topics and the style in which you would see your content best presented. The topics should fit into a plan with delivery that extends over a 6-12 month period. Once again, an outside consultant can explore and help you focus in on what your need and expectations are.